Property Peak? Should we believe him? So it’s been a weekus horribilius for property hasn’t it? 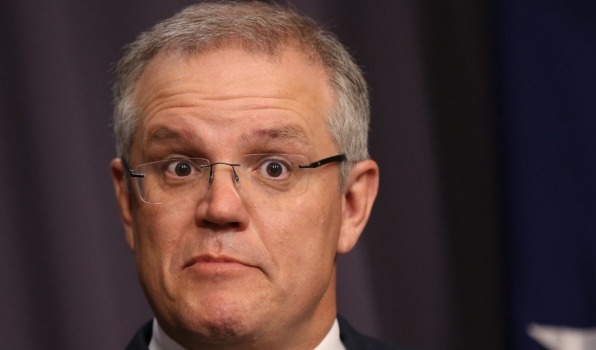 … and then to top it all off, Scott Morrison goes and calls the top in the property market. That last one actually took me completely off-guard. I was reading my morning property digest and almost snorted green tea out my nose. What on earth is the Treasurer of the country doing calling a ‘top’ in the market? Perhaps people miss the language cue here in the headline. In many markets, analysts will ‘call the top’ – which is to say, the asset has run its course, this is as good as it’s going to get, it’s time to sell. So is that really what ScoMo is saying? Turns out, it kind of was. Though I wonder if he really got what he was saying. Ok. That makes a little more sense. I got click-baited. ScoMo wasn’t slapping a sell signal on Australian property, he was just batting away pressure to reform negative gearing and the capital gains tax concession. Still, if I was an apartment owner (if I was touching inner-city high-rise with a barge pole), I’d be a little pissed. The Federal Treasurer is scoring political points by saying the asset that you own will soon be worthless. Bummer if you’re trying to sell right now! So it’s just political argy-bargy. But what about everything else? There was some pretty bleak news this week, right? Well, actually no, there wasn’t. To the extent that there was any signal in the noisy data we get month to month, there wasn’t anything out of the ordinary. First up, there was prices. Corelogic published their data for April. It showed that prices were flat in Sydney, while they were up 0.5% in Melbourne. So this is the big news. Sydney prices didn’t go up. I think it goes to show just how used to thumping results we are when a go-nowhere month can get so much media attention. And it’s worth noting that the Australian average posted a modest increase – for the 17th month in a row! But then there was the listings data. SQM showed that the stock of homes for sale fell 8.3% in April. It showed that fearful vendors were too scared to bring their properties to market. Again, hardly. The April data were made messy by how close ANZAC day and Easter fell together this year. It was tricky to sell homes in April because of the long weekends. But then what about the leading mortgage indexes? CoreLogic showed that much fewer people got the gears rolling towards getting a mortgage in April. Nope. Remember that April came after the month where APRA fiddled with all the rules around mortgage lending. But we saw this last time they did this too. Basically, everyone who was in train to get a mortgage had to stop and check back in with their mortgage broker, who had to go and check back in with the banks to see who was still lending and who wasn’t. It just slowed the whole process down. So that’s what we’re seeing here. And if you remember last time it happened, mortgage lending paused for a month, but then bounced back pretty strongly in the two months that followed, as everyone got their heads around the changes and just got on with things. No, ScoMo is not ‘calling a top’ in property. No, house prices haven’t started ‘cooling’. No, stock on market isn’t ‘evaporating’. And no, mortgage lending is not ‘cratering’. Seriously, sometimes I wonder why I read the papers at all.